The brakes in a car are designed to slow down and stop the wheels by using friction that is applied by the hydraulic pressure of the brake fluid pressing a pad or shoe against a metal wheel part. Brakes slow the wheels of a vehicle in proportion to the pressure the driver puts on the brake pedal, allowing the brakes to be used many different ways depending on the driver. 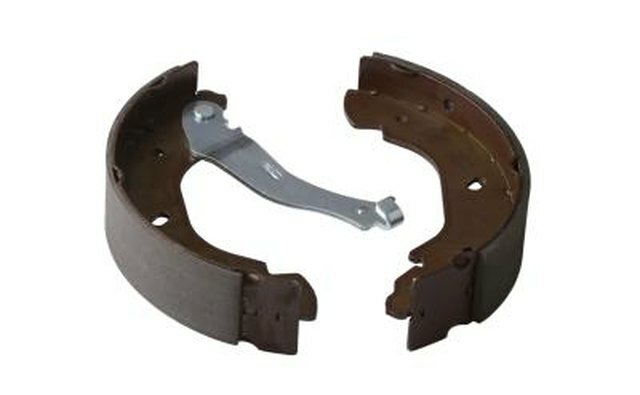 Brake systems are made up of brake clamps and brake lines, brake pads, and brake rotors. Judging the lifespan of any part of the brake system is complicated. 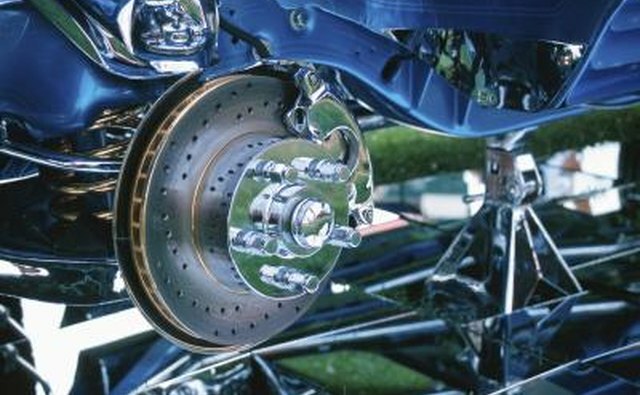 Brake wear depends almost entirely on the driver. Brakes will wear out depending not only on how often they are used, but also how hard the driver presses on the brake pedal. Different parts and materials last longer than others. Brake fluid needs to be checked far more often than brake rotors. However, there are indications that can be used to gauge the lifespan of some brake systems. 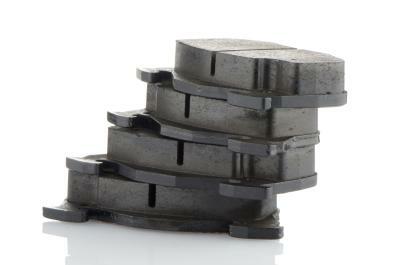 Except for brake fluid, brake pads usually need to be replaced more often than any other part in the brake system. The average lifespan for the pads is around 30,000 miles, but with very careful driving it could be twice that. If driving conditions are rough or the driver has bad breaking habits, the brake pads may only last 15,000 to 20,000 miles. 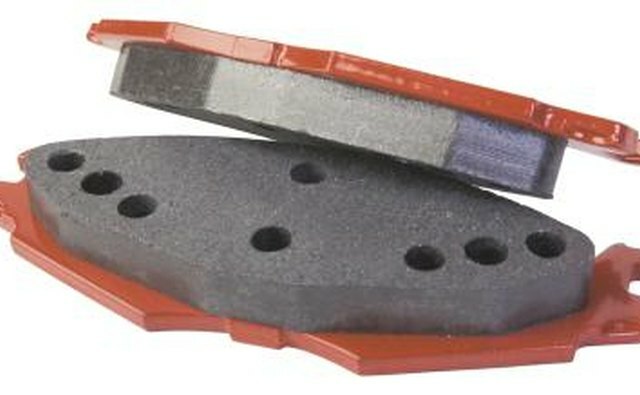 Brake pads are equipped with indicator strips. 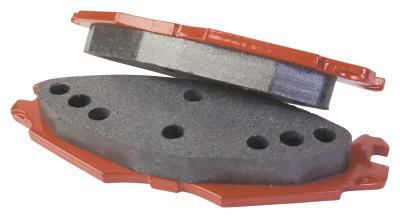 As the brake pads are used, the indicator strips wear down until they expose a section of metal to the brake rotor. 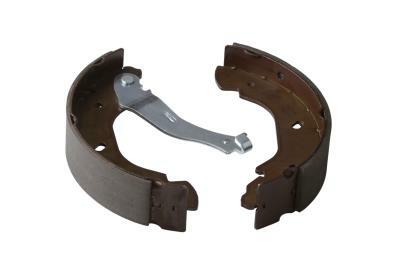 This metal is designed to create a screeching sound without actually harming the brake rotor. This lets the driver know that the brakes need to be replaced. 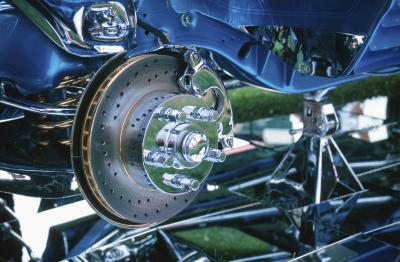 Brake rotors are the section of the brake that attaches to the wheels and helps slow the car down. 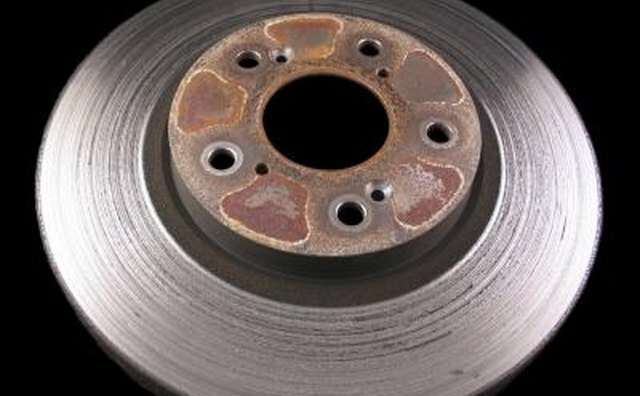 Rotors are more difficult to judge in terms of lifespan. Typically the second or third time the driver replaces brake pads the mechanic will also inspect the brake rotors to see if they are worn out. 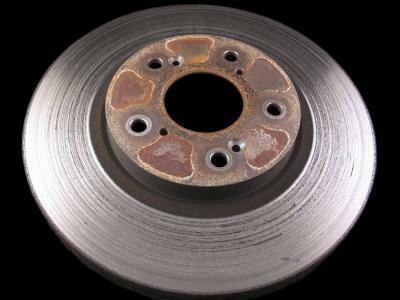 Even then, the rotors might simply be shaved to smooth them again so they can be used for many more miles. The clamps and brake lines are designed to last throughout the life of the car. The exceptions are accidents and very rough driving conditions. Accidents can tear through brake lines, and bad collisions may dislodge the brake clamps. Rough driving conditions, such as a landscape with stones and boulders, may jeopardize the life of the brake lines as well.